Buying your first home is an exciting and gratifying process. Your home plays such an integral part in your life and is one of the most important investments many people will make in their lives. There are so many options to consider: Where do you want to live? What kind of home do you want? How many rooms do you want? How much space do you need? Unfortunately, some first-time homeowners start their house-hunting journey with unrealistic expectations. Before beginning to look for your first home, take the time to sit down with a financial advisor to outline a realistic budget for your first home. You want to make sure you will be able to take on the new mortgage payments and expenses comfortably and still be able to enjoy your quality of life. Once you have come to a conclusion on what you can responsibly afford, you can begin to think realistically about what kind of home you want to purchase, whether it’s a condo, a terrace home, a townhome, a bungalow, or a single detached house. The first step in pursuing home ownership is saving for your down payment. The down payment is the amount of money you pay for the house up front in order to secure a mortgage loan from the bank. First-time homeowners are eligible for the minimum down payment of only 5%. This is an ability exclusively reserved for first-time homebuyers, making it easier to attain your goal of home ownership without the sale of a prior asset. Once you have saved your down payment, you can begin the exciting process of house hunting! Before you buy a home, you must consider your financial standing. Moving into your first home is an exciting time – you will want to furnish your new home and fill it with beautiful things that make it uniquely your own. While this phase is fun, it can also be a drain on your funds if you haven’t planned for it. On top of your new mortgage payments, you will also have to consider your utilities, internet, cable, as well as budgeting for food and other expenses, etc. To avoid any shock upon your first few months in your new home, it can be very helpful to have savings set aside specifically for furnishings, etc. during your first year in your new home. Before you decide to buy your first home, it is wise to consider your income status. Whether you have outright assurance from your employer, or perhaps you are a freelancer or consultant with a strong returning flow of clients, it is important to have a reliable, steady income before you buy your first home. While nothing can be 100% guaranteed, be honest with yourself about your income security. It is better to wait until you are in a comfortable financial state than to rush into home ownership before you are ready. Before buying your first home, be sure that you are committed to living in the city or area that you are pursuing – or at the very least, you are committed to visiting the property regularly to meet with tenants and perform routine maintenance tasks. To be the happiest in your new home, you will want to make sure that you are also happy with the city and the community. Do you want to live in the suburbs or do you want to be near the city centre? Do you want to live in the east end or west end? These are important questions to ask yourself before choosing your new home. While there are many great benefits to owning a home, there is also a list of important responsibilities that come with home ownership. One of the most noteworthy new responsibilities you will have as a new homeowner is the maintenance of your home. From cleaning the eavestroughs to closing your pipes for the winter, proper home maintenance will be vital to the longevity of your home investment. One of the many perks of buying a new build home is that you can rest assured that your home maintenance responsibilities will be very minimal for the first few years compared to that of an older, fixer-upper home. 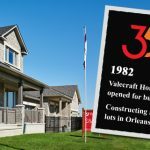 Valecraft Homes offers a wide variety of new homes in Ottawa, including townhomes and rear lane townhomes, terrace homes and condos, as well as bungalows and single detached homes. View our new home models today! Sign up for our Priority Registrant List and learn in advance about special offers, new releases & exciting news!